For decades, advertising was the main marketing effort for businesses to get their target interested in their products and convert new customers. Now, the Digital Era amplified the reach of ads and marketing messages. However, people are becoming overwhelmed by the number of ads received every day and businesses are struggling to stand out in the crowd. That’s why referrals are becoming such an important marketing tool because, more than ever, people influence people. Zack Zuckerberg once said “Nothing influences people more than a recommendation from a trusted friend. A trusted referral influences people more than the best broadcast message. A trusted referral is the Holy Grail of advertising.” And research has proven that: a Nielsen study shows that people trust the recommendations of people they know far more than they trust other types of advertising (Source: Nielsen). 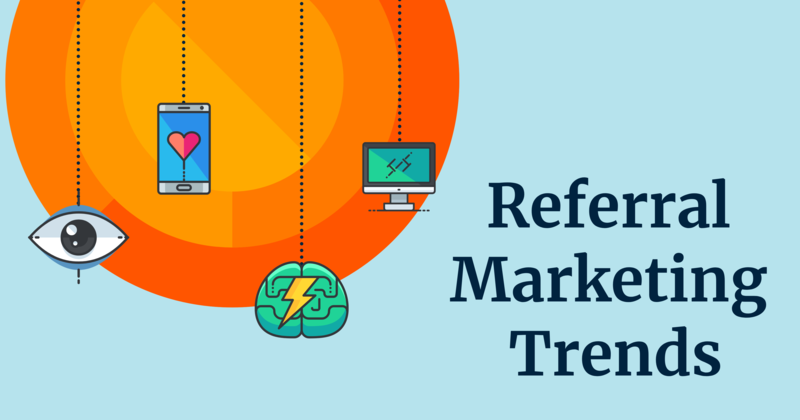 This list summarizes Referral Marketing Trends you should consider when planning and executing your referral program. One of the most powerful tools of the Digital Era is social media, especially in United States. Statista Portal reports that North America has the highest social network penetration rate in the world. While the global average penetration rate stood at 42% in 2018, North America’s social network penetration rate was at around 70%. In the United States, 77% of population had a social media profile. Business Network: it refers to a group of business owners and professionals from related markets who promote and refer each other to gain more sales. Customer Social Media: having your customers to share their experience with your brand on social media (through posts, shares, and reviews) is one more endorsement you can achieve on the referral process. Consumers know their friends and families, so their word on social media can carry a significant amount of weight on people’s decision. Employee Social Media: your sales reps focus on working to close deals, get customers onboard and potentially having them referring to the company. But how about using their networking power to advocate for the brand? The more your sales reps promote the company on their social, more chances you have to boost the sales funnel, with zero investment. Read more at "The 5 Best Practices of a Referral Program." The best way to reach out and keep in touch with your customers is through a referral app, and there are two main reasons for that: In the U.S., 77% of adults own a smartphone. People who own smartphones spend over 80% of their time using apps as opposed to internet browsers (Source: Flurry). Your business can benefit from having a customer referral app since it will increase their time connecting with your brand, consequently increasing the chances for referrals. One key point to increase your customer referrals is to make the referral process easy, and that is what a customer referral app does. Referral Apps can serve many functions: besides submitting referrals, companies can send messages, emails, show new offers and promotions, etc. The biggest benefit of a referral app is to provide customers with the right process at their fingertips. And with push notifications, companies can get even closer to direct interaction. If you think mobile apps are solely for big name brands you are wrong, more and more small and mid-size businesses are following the mobile trend, understanding that an effective mobile strategy involves more than just a mobile-friendly website and a customized referral app can help a business to be one step further competition. Besides, it contributes to brand awareness: think about an app as a mobile billboard sign on your customer’s phone screen that will keep reminding them about your brand and (indirectly) your products and services. Also, the more you communicate with your customers, the more engaged they get to refer you.